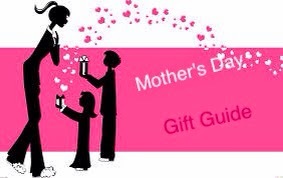 Welcome to my Gift Guide I hope you enjoy this next product I am about to tell you about. This is one of my favorite cleaning products to date it can do so much but what I have been using it for is to clean carpets. This stuff is amazing and picks up anything from the carpet. 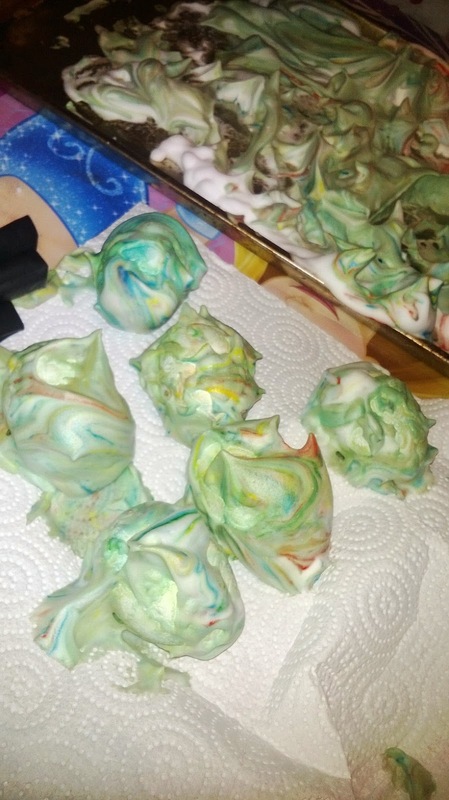 I tried using this when we decided to use food coloring and shaving cream to dye eggs for Easter. Well needless to say we got dye on the carpet and I used this stuff and it came right up. I was amazed out how it came right up no scrubbing or anything. So then I tried spots around the carpet and what do you know every dark spot came up. I thought this would be the perfect gift for any Mother out there that has stains on the carpet and let's face it if you are a Mother you are going to have all kinds of stains around the house. These are just some of the things you can use Genesis 950 for floors, appliances, painted wood, counters, cabinets, engines, transmission, wheels, and grills and so much more. This is the before photo of one of the stains on the carpet. It has been there for awhile and I thought this wasn't going to work. Boy was I wrong. As you can see most of it's gone once it dries I go back in and do this again!!! This is my new favorite cleaning item I will continue to use this stuff for a long time. I am a definitely believer. I wanted to get this dye up asap I was so worried that it was going to stain the carpet!! This solution is mixed with water to dilute it. And check it out it all came up. No dye was left behind which to me was very surprising seeing how it was a super dark color. Grabbing that bottle of stain remover might not be the best idea however. 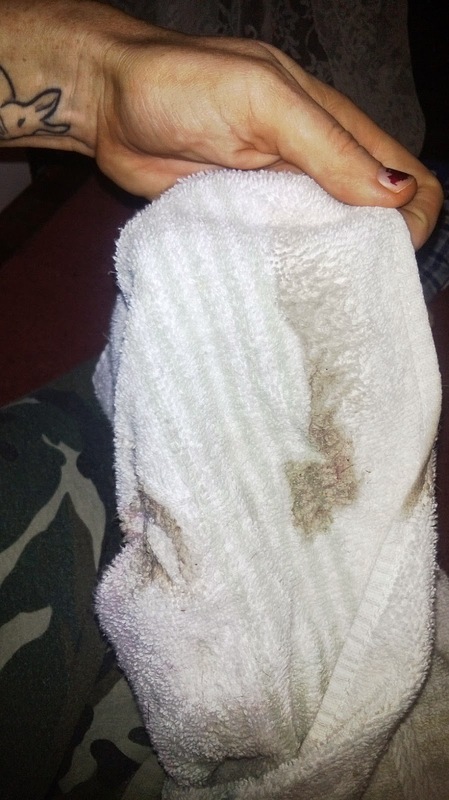 In some cases, you can actually make a bigger stain then you started with. 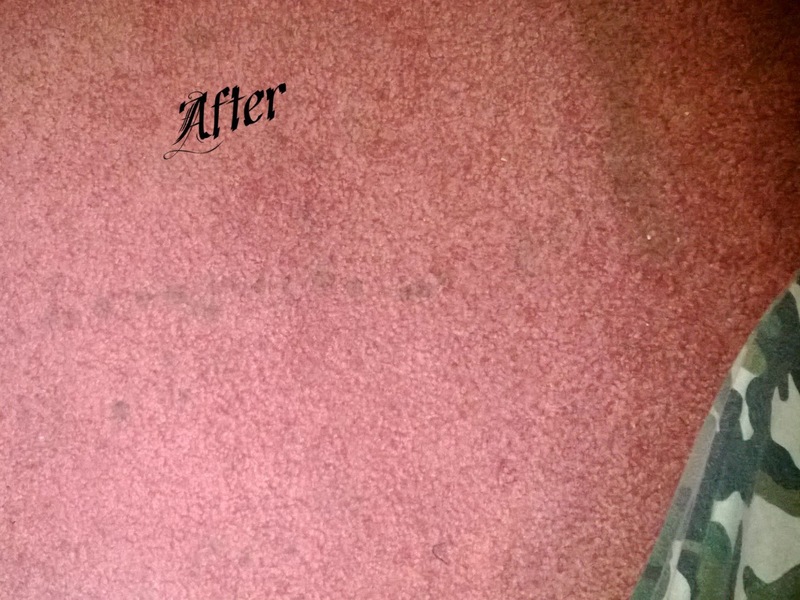 Here is an example of a stain that was treated with a very common store brought product that claims it is specifically designed to remove carpet stains. You can see that the cleaner actually made a bigger mess. Rather then removing the stain, the cleaner actually spread it. These type of store bought cleaners can have a negative effect on your carpet for several reasons. If they are soap based, they are actually adding to the buildup of the stain. If they are chemical based, they can actually discolor your carpet. 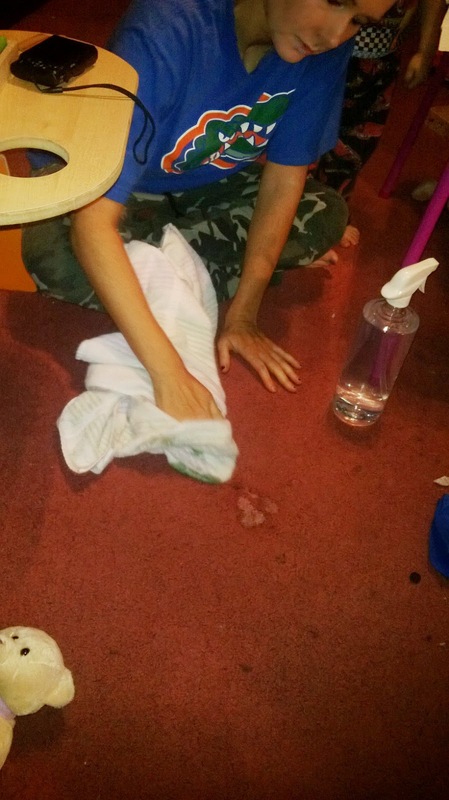 In this photo, the cleaner basically just spread the stain throughout the carpet. Prior to the attempted cleaning, this was just a simple, small stain. 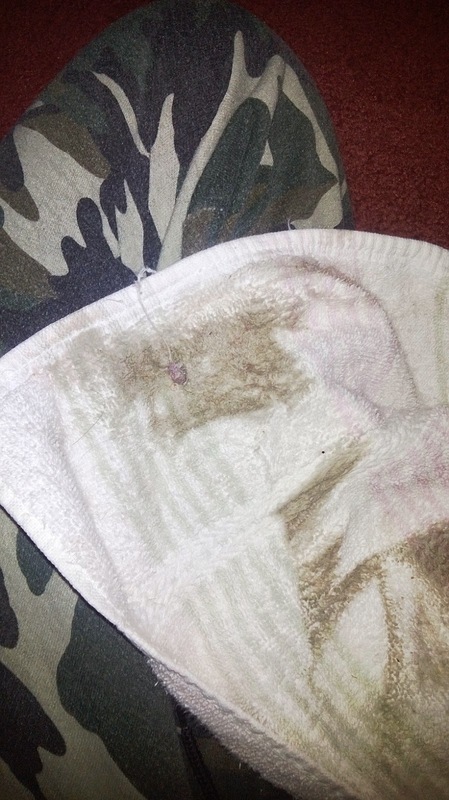 After cleaning with a basic cleaner, which claims to be specifically for carpet stain removal, the stain has expanded to a large smear in the carpet. One small spot can be frustrating, but when there are several stains, a carpet cleaned improperly can be an embarrassing nightmare. 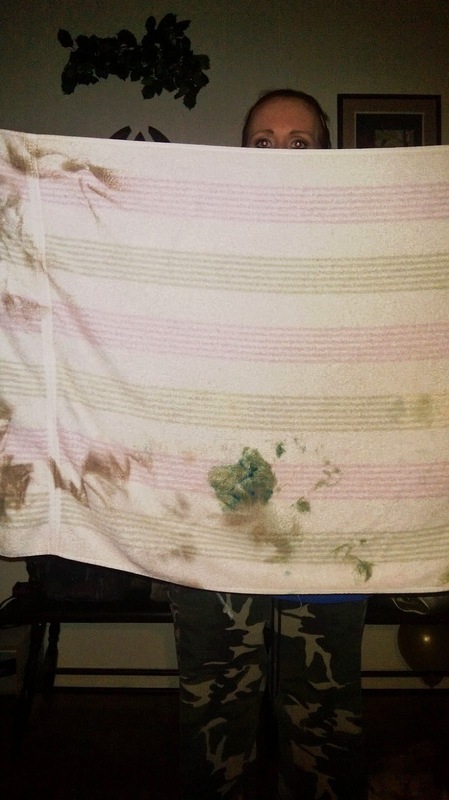 In the event that a carpet cleaner doesn't work, stains become the least of your worries. In the above example, an attempt was made to clean several stains. This photo represents months of trying to remove carpet stains using several different household cleaners. It is more then obvious that these cleaners failed miserably. Prior to cleaning, some of these stains were only visible if you approached the stains up close. After cleaning, they became eye sores. Cleaner after cleaner failed. The next step was replacing the carpet. However . . . it turned out that the carpet simply wasn't cleaned right! 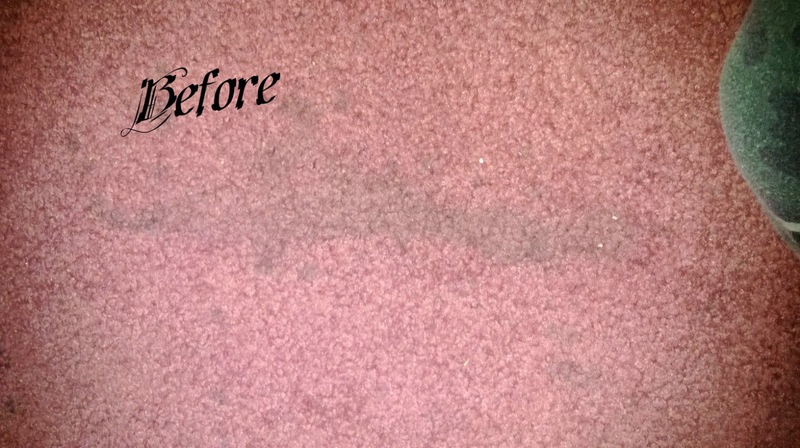 After correctly cleaning the carpet, not only were the stains gone, but the stains left behind from the other cleaning products were removed as well. Would you like to win your own Gallon of Genesis 950??? Well enter the Rafflecopter Below for your chance to win!! I know you will love it. And now if you order the Gallon size you get a free spray bottle along with it. Make sure to also follow Genesis on Facebook and also on Twitter!!! I use wet wipes and/or soap and water. I normally use Baking soda and water to spot clean the carpet. Thanks for the giveaway. I use spot shot and it is okay. Still looking for something great. I gave up on my carpets long ago lol I need to try something that DOES work! I use spot shot to the stain and it works great for the most part. I use Woolite carpet cleaner. It works pretty well and has a nice scent. I really love reading this blog post you wrote here for your readers. I can truly relate a lot to this industry because I use to build with a Network Marketing company called Wealth Generators. Wealth Generators was the first compny I ever worked with in the industry, i'm sure not a lot of folks heard about Wealth Generators Lifestyle but Wealth Generators Compensation Plan is one dang darn good of a comp plan if you ever had a the chance to take a look at it. Your post inspired me a lot so i appreciate this!